You cannot view or restart Windows Azure virtual machines that are in a Stopped (deallocated) state. Images for Windows Azure virtual machines are listed when the image is not available in the selected region. You cannot specify an administrative user when a Windows Azure virtual machine is deployed. Location points are not displayed on the GSM Map dashboard because of an SQL time-out error. When this problem occurs, the following events are logged in the Operations Manager log. Message: Query processor could not produce a query plan because of the hints defined in this query. Resubmit the query without specifying any hints and without using SET FORCEPLAN. An exception was thrown while processing GetProjectionsByCriteria for session ID uuid:e3999b5c-870f-42cb-9e78-f7a0850a7c29;id=1175.Exception message: Query processor could not produce a query plan because of the hints defined in this query. Resubmit the query without specifying any hints and without using SET FORCEPLAN.Full Exception: Query processor could not produce a query plan because of the hints defined in this query. Resubmit the query without specifying any hints and without using SET FORCEPLAN. An incorrect message description is generated when security event 5140 is monitored. For example, the message contains incorrect information for Source Address, Source Port, and Share Name. Microsoft.EnterpriseManagement.Presentation.DataAccess.DataAccessDataNotFoundException: Exception reading objects —> Microsoft.EnterpriseManagement.Common.UnknownDatabaseException: The query processor ran out of internal resources and could not produce a query plan. This is a rare event and only expected for extremely complex queries or queries that reference a very large number of tables or partitions. When network discovery is run, duplicate entries for the same device may be added to the database. This problem occurs when a different device key is found for the same device. Availability Reports may be displayed as blank because the vStateDailyFull aggregate is returned empty. This problem occurs when the time zone on the data warehouse server is set to UTC+0X:30. The monitored health state of the System Center Advisor agent is always in a „Warning“ state on the Advisor Health State dashboard. A website cannot be discovered or monitored on a system that’s running Internet Information Services 8 (IIS8) or Internet Information Services 7 (IIS7)if the HTTP binding is missing from the website configuration. In rare cases, the Monitoringhost.exe process on the Management Server may crash with an access violation 0xc0000005 when log files are monitored on UNIX and Linux computers. When this crash occurs, it causes the managed UNIX or Linux computers to become unmonitored and in a „Critical“ state. A Solaris computer that uses lots of monitored resources such as file systems, physical disks, or network adapters, may run out of file descriptors and cannot monitor the resources. This is the result of the default user limit on Solaris being too low to allocate sufficient file descriptors. The updated agent now overrides the default user limit with a user limit for the agent process of 1,024. A monitored Solaris Zone configured for dynamic CPU allocation with Dynamic Resource Pools may log errors in the agent logs and return incorrect values for Processor performance counters. This issue applies to any monitored Solaris Zones configured to use Dynamic Resource Pools and a „dedicated-cpu“ configuration that involves a range of CPUs. If Linux Container (cgroup) entries are in /etc/mtab directory, errors are logged when physical disk discovery is enabled, and some physical disks may not be discovered. Warning [scx.core.common.pal.system.disk.diskdepend:418:29352:139684846989056] Did not find key ‚cgroup‘ in proc_disk_stats map, device name was ‚cgroup‘. Physical disk configurations that cannot be monitored or failures in physical disk monitoring for UNIX and Linux computers, may cause failures in Logical Disk instances (File Systems) monitoring. Note The JEE application server additions are a separate Management Pack release. However, they depend on updates to the UNIX/Linux agent. You receive many 33610 events on various rules and subscriptions. Additionally, the size of the EntityChangeLog table grows because of stalled grooming. When you accidentally double-click a parent link of an extended Incident class object instead of single-clicking it, the console crashes. If the Incident class object has not been extended, the console does not crash if you double-click the parent link. Service requests may complete unexpectedly leaving any included activities in a Pending state. 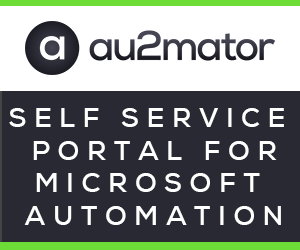 When you have many manual activities assigned to you, the „My Activities“ view in the Self-Service Portal may not display the whole list of activities. In some cases, depending on the number of activities that are assigned to you, the „My Activities“ view may be displayed without information. The Exchange Management Pack may always be in a state of „Pending Association“ in the management pack sync Job in the console. Additionally, the status of the „Management Pack“ node in the Data Warehouse space is „Failed“ and may display an Event ID 33410 from the source deployment. When a new SqlNotificationRequest instance is created, new rows are created in the sys.conversation_endpoints catalog view that has state=“CO.“ Because the SqlNotificationRequest class does not provide any method to close the conversation accordingly, the sys.conversation_endpoints catalog view grows quickly to a very large number. Intermittently, file attachments are saved with zero (0) bytes in the database. The File Attachment record shows the correct data size together with file names and so on. But there is no actual data saved to the database. Service Manager cannot capture the failed status on invoked runbooks. Runbook activities therefore remain „In Progress“ even though the invoked runbooks have finished with a „Failed“ status. After Service Manager 2012 is upgraded to Service Pack 1, the Service Dependents view under Business Services is not displayed correctly. Additionally, creating or editing a new Business Service by adding one or more configuration items as „Service Dependents,“ the Business Service information is not saved. Other activities in a Service Request may start to run even though the current activity has not finished. When a reviewer is added to a Review Activity, workflow notifications may not always run. Additionally, you receive an Event ID 33880. After a self-service portal is upgraded to Service Pack 1, simple lists do not function correctly. For example, a drop-down option that was selected in a simple list is not unselected when another option is selected. This update enables „Run As“ accounts for use with Exchange Connector. For scale-out file servers, if one of the file server nodes is offline, Virtual Machine Manager cannot discover or register the scale-out file shares. Virtual Machine Manager cannot deploy port profiles if one of the port profile’s maximum size is reached. The Virtual Machine Manager Service crashes when there is an empty value for the vNICperf counter. A „RunAs“ account cannot be defined by using a service setting and cannot support the validation for network load balancing. New virtual machines cannot be created from a library virtual machine if that library virtual machine has a snapshot on it. In some cases, if a user imports a user interface add-in, the user might be unable to access the Virtual Machine Manager Server connection because the PowerShellContext property is null. System Center 2012 Service Pack 1 Virtual Machine Manager cannot be uninstalled if any previous Update Rollup is applied to the system. Virtual machine creation fails because the VMNetworkServiceSetting property cannot be set. A new virtual machine deployment together with multiple pass-through disks may fail because Virtual Machine Manager cannot locate the boot or system volume during the installation of virtual guest services. The Virtual Machine Manager Service may crash when it tries to discover a virtual machine on specific Storage Area Networks (SAN) storage. In some cases, Virtual Machine Manager cannot update the VMWare host, the virtual machine or networking information. Virtual Machine Manager tries to reset a virtual local area network (VLAN) ID when there is no change in the virtual machine network (VM network) or virtual machine subnet (VM subnet) of the network adapter. When you migrate the storage of an online highly available virtual machine (HAVM), the cluster resource for the storage is not updated. Virtual Machine Manager may report 0-percent CPU usage or 0 kilobytes (KB) available memory on the Hyper-V host. Failed or canceled cross cluster migration does not clean the highly available virtual machine (HAVM) resource that is left in the target cluster. The Virtual Machine Manager Service may crash because of Foreign Key violations in the tbl_ADHC_FibrePort table. This can be caused by a port that is deleted by Virtual Machine Manager before mapping is added. Forecasting reports do not work if you use Microsoft SQL Server Analysis Services (SSAS) 2012. A Server Message Block (SMB) protocol dialect shows 30,000 network-attached storage devices when Virtual Machine Manager is run on a German locale. You try to create a virtual machine by using a virtual machine template. When you use some specific virtual hard disks (VHDs), the virtual machine creation may fail at the „Install VM component“ step. VMware templates imported from the Virtual Machine Manager 2012 Service Pack 1 console that are deleted from the Virtual Machine Manager console are put in the „Missing“ state. When a Windows Communication Foundation (WCF) channel is used after having aborted, the Virtual Machine Manager Service may ultimately crash. Failed to change smart paging store for virtual machine. You change the Preferred Owners and the Possible Owners settings of a highly available virtual machine (HAVM). When you migrate the HAVM from a cluster to a stand-alone host, the Virtual Machine Manager Service may crash. When you run a physical-to-virtual (P2V) conversion or a virtual to virtual conversion (V2V), the conversion wizard should use the virtual machine network (VM network) parameter in the network adapter cmdlet instead of the logical network parameter. You receive an error when you add a storage pool to Virtual Machine Manager. This problem occurs if the logical unit number (LUN) of the storage pool is part of multiple storage pools. After you install the Microsoft .NET Framework security update 2840632, some of user interface (UI) controls may not work. Servicing services that were deployed before Update Rollup 3 for System Center 2012 Service Pack 1 was applied might fail after Update Rollup 3 is applied. Tags: SCOM - SCSM - SCVMM - SYSCTR - UpdateRollup.